Just two weeks ahead of the 2014 elections and a recent Suffolk University/USA TODAY poll has Republican challenger Cory Gardner ahead of incumbent Mark Udall by 7 points in the race for the Colorado US Senate seat. 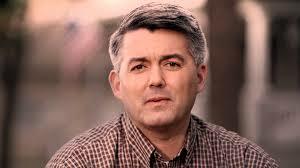 The poll shows Gardner leading Udall, 46% to 39%, with 6% for other independent candidates and 9% undecided. An incumbent candidate with only 39%, that usually means they are toast. If a state like Colorado that has been trending blue in recent years is shifting this much to the red in this election cycle, there really could be a wave election for the Republicans … with really no help from the GOP. With Barack Obama’s continued falling approval rating, failed policies and unpopular presidency … those that have sided with Obama are taking a hit in the 2014 elections. This Senate seat really does appear to be slipping away from the Democrats, one that not many really counted as a GOP pickup several months ago. RCP has all polls for Gardner and the challenger up by 4. Democratic incumbent Mark Udall now trails Republican challenger Cory Gardner by 7 points in the Colorado race for U.S. Senate, according to the latest Suffolk University/USA TODAY poll. The poll of likely voters in the general election shows 46 percent backing Gardner and Udall with 39 percent, with 9 percent undecided and 6 percent spread among four independent and third-party candidates. The Colorado race for governor continues to be a close race, with former Congressman Bob Beauprez, a Republican, leading Democratic incumbent John Hickenlooper 45 percent to 43 percent, with 8 percent undecided. Beauprez is gaining while Hickenlooper’s numbers have not moved from a month ago, when he led Beauprez 43 percent to 41 percent. Anti-Obama sentiment seems to be on the rise in Colorado. The president’s unfavorable rating was 56 percent; his job disapproval was 57 percent; and 56 percent said that Obamacare is bad for Colorado. Udall’s unfavorable numbers at 54 percent are in line with Obama’s.